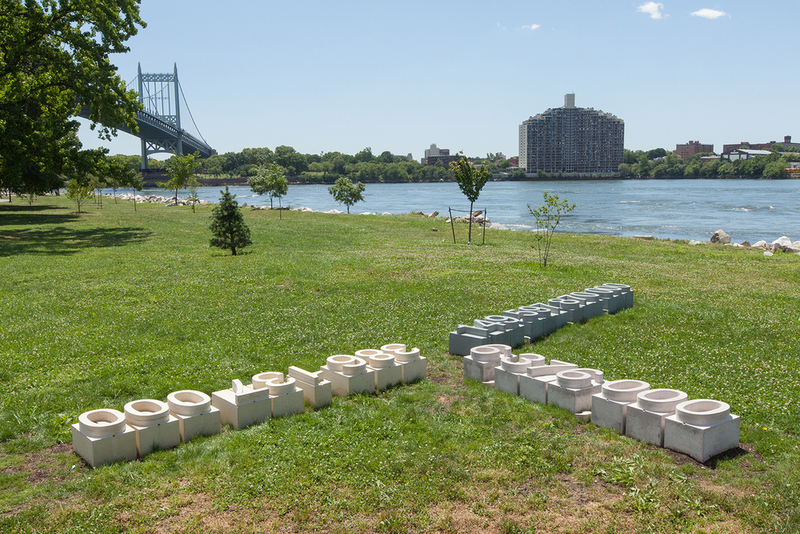 22' x 16' x 14"
Installed as part of FLOW.12, a two-part environmental art exhibition on Randall’s Island Park in New York’s East River. The cast concrete sculpture replicates the shape and orientation of the island’s RFK Bridge as seen from a satellite. The three-pronged shape comprises three numbers relating to the scale of the cosmos: the distance in meters from the surface of the island to the centers of the Earth, Moon, and Sun.